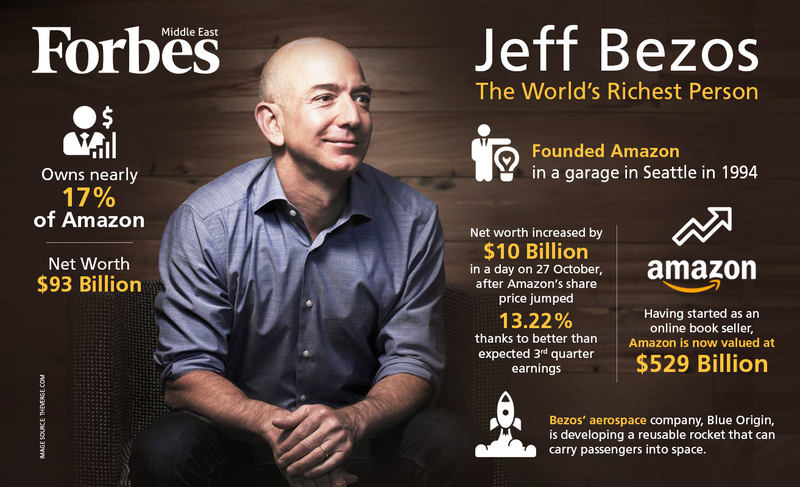 How does Jeff Bezos do it? There are many thing that make Bezos deserving of this immense success. He’s a true innovator, and has shown that he has the ability to change to rules of the game. But there’s one thing that contributes to Amazon’s success more than any other. In Bezos’ words, it’s the ‘obsessive compulsive focus on the customer as opposed to obsession over the competitor’. Great customer satisfaction is a cornerstone of every business success. Bezos knows this better than most. While everyone is thinking of the ways to beat their opponents, Bezos doesn’t care about this. Instead, he goes out of his way to ensure that everyone within the Amazon community has everything they need. When it comes to the consumers, Bezos constantly finds new ways to ensure their satisfaction. One of the best examples is Amazon Prime, which offers a ton of value for every subscriber. Bezos wants to ensure that customers know what they’re paying for and receive enough value to justify the money. He makes distinction between ‘missionaries’ and ‘mercenaries’ within the business world. By ‘missionaries’, he means every CEO that builds a product out of love for the customers and the product itself. On the other hand, ‘mercenaries’ build products for the purpose of making money. It’s easy to conclude in which category he puts himself. Bezos has shown over and over again that he genuinely cares about the consumers. He’s done that for the sellers as well. Amazon sellers have opportunities that no other platform offers. This is why many decided to join Amazon on the way to even more success. If you want to be one of them, we can help you do it. Our team will give you all the knowledge you need to embark on this journey. If this sounds appealing, join us on a FREE webinar now to see what it is that we can offer.